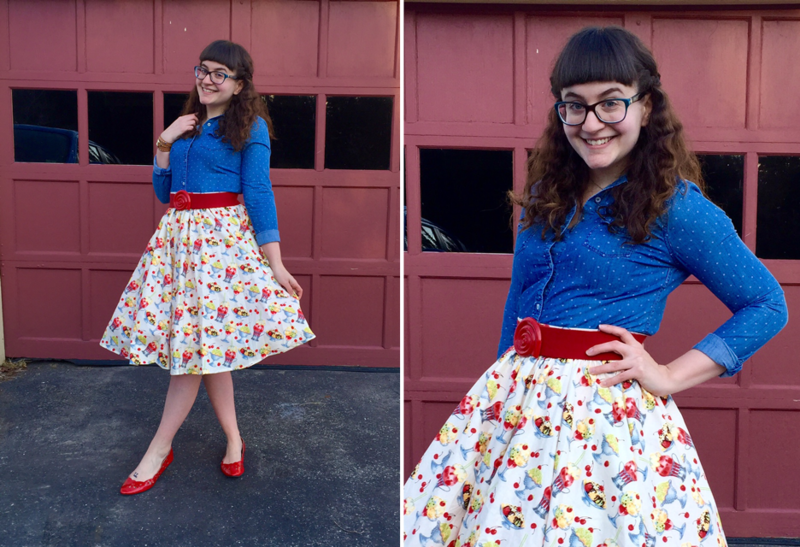 In a Nutshell...: Pass Me a Spoon: Another Munster Madness Skirt! With the frigid cold warming up a bit, I am definitely thinking Spring. Warmer weather means we're that much closer to eating ice cream for dinner, right? Oh heck, I ate ice cream for dinner just last week, but you know what I mean. I want more sunshine, dammit! I kind of like that I have this print in a skirt vs the actual Bernie dress. I can mix it up with all kinds of tops and I can tell it will easily transition from season to season. It's also kind of fun knowing that this skirt was made for me and no one else - well, besides Anna's other customers, that is! Eat your heart out Bernie! Anna's gonna give you a run for your money!